Texas native, Richard Linklater is among the vanguard of the 1990’s American independent film renaissance, having directed early cult classics such as Slacker and Dazed and Confused. 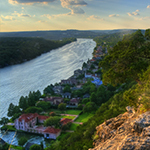 Linklater has showcased his home state of Texas as the rich backdrop and source of inspiration for the films he has written, directed and produced. His storytelling takes audiences all across Texas, from the incredible vistas of the Greater Big Bend region, to the celebrated landmarks and cultural institutions of Central Texas, all the way to the charming small towns of the East Texas Piney Woods. 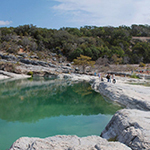 In recognition of Linklater’s immense talent and commitment to the state, we inaugurate the Texas Film Trails program with the Richard Linklater Texas Film Trail, highlighting 15 filming destinations from some of his most iconic features. We hope you enjoy your experience in the great state of Texas through the lens of the acclaimed filmmaker, Richard Linklater! 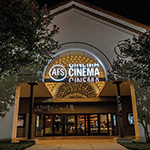 Created by Richard Linklater in association with the Austin Film Society (of which Linklater is a founder), AFS Cinema is the dream theater for the Texas filmmaker. From vintage film posters and books to a collage of stock footage hand-crafted by Linklater himself, the entire venue is infused with his personal touch. 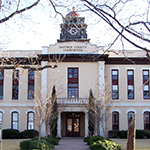 The Bastrop County Courthouse serves as the San Augustine County courtroom during the trial scenes in Bernie where District Attorney, Danny Buck (Matthew McConaughey) makes the case against Bernie Tiede (Jack Black). 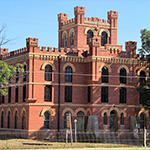 Outside on the courthouse lawn, the gazebo in front of the Bastrop County Jail is where town gossip, Kay McCabe (played by Matthew McConaughey's mother, Kay McConaughey), filmed some of her most memorable scenes. 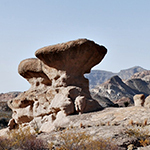 The final scenes of Boyhood were filmed at "The Hoodoos" in Big Bend Ranch State Park. Seize the moment and hike "The Hoodoos Trail" like Mason (Ellar Coltrane) and his college pals and then settle in for the sunset to ponder your future. The dramatic terrain of the "The Hoodoos" is located on the banks of the Rio Grande River, is clearly marked and easily accessible by car from the south side of State Highway FM 170 just west of Lajitas, Texas. Linklater utilizes the jail cells of the Caldwell County Jail Museum twice for two of his feature films. First appearing in The Newton Boys in 1998 and then again in the 2001 production of Waking Life, creating a new perspective of the location via a Rotoscoping animation technique. In Boyhood, Mason Sr. (Ethan Hawke) takes Mason Jr. (Ellar Coltrane) and Samantha (Lorelei Linklater) on a fun-filled day trip highlighting many Downtown Houston attractions. 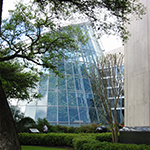 Their first stop is the Cockrell Butterfly Center at the Houston Museum of Natural Science. This three story permanent exhibit is home to hundreds of free-flying butterfly species. As seen in the film, visitors can walk amongst the tropical rainforest habitat and often serve as a lucky landing site for the delicate winged creatures. In Boyhood, the Miller Outdoor Theatre is another great stop on the day trip Mason Sr. (Ethan Hawke) shares with his kids. Here, he plays football with Mason Jr. (Ellar Coltrane) and Samantha (Lorelei Linklater) before they head to the ballpark for a Houston Astros baseball game later that day. Wrapping up the day spent with his kids in Boyhood, Mason Sr. (Ethan Hawke) takes Samantha (Lorelei Linklater) and Mason Jr. (Ellar Coltrane) to a Houston Astros baseball game at Minute Maid Park. In the scene, Richard Linklater catches an exciting, candid moment between the actors when a homerun is hit by a Houston Astro during the real-time filming of the live game. 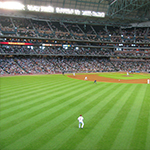 After the film was released in the summer of 2014, Richard Linklater (who once played college baseball at Sam Houston State University) was invited back to Minute Maid Park to throw out the first pitch at a home game vs. the Texas Rangers. 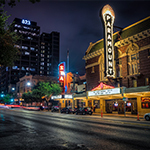 Linklater visits the iconic Paramount Theatre in two very different films, The Newton Boys and Waking Life. In both films, the lead characters spend time in the historic venue to reflect on their actions through the film playing in the theater during the scene. 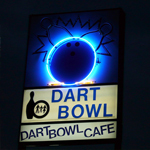 Located in the Violet Crown Shopping Center in Austin, Texas, this popular BBQ restaurant was lensed as the exterior of the "The Emporium" pool hall in Dazed and Confused. In what would later be regarded as breakout roles for Ben Affleck as “O’Bannion” and Matthew McConaughey as “Wooderson”, the two can be seen in the film hanging around the shopping center getting into some serious shenanigans! 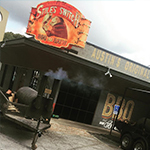 Nowadays, locals and visitors alike come to Stiles Switch to sample some of the world famous phenomenon that is Central Texas BBQ. In Boyhood, Mason Jr.’s (Ellar Coltrane) college career -- and his adult life -- begin at Sul Ross State University. 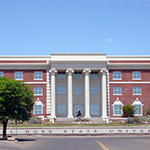 Sul Ross State University also houses the Museum of the Big Bend, a place where visitors can get a thorough introduction to the cultural and natural histories of the region. The opening sequence of Bernie introduces us to the cheerful, singing title character driving through the downtown streets of Carthage, Texas. 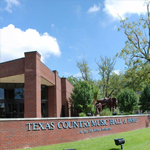 During this montage, Bernie (Jack Black) passes by the famous Texas Country Music Hall of Fame. 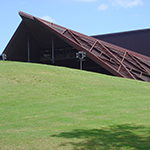 The Texas Country Music Hall of Fame is also home to the Tex Ritter Museum, which has attracted more than 30,000 visitors from across the US and around the world! 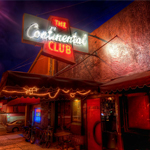 The renowned Continental Club has been serving up live music to Austin audiences since 1955, so it's no wonder why Richard Linklater has featured this location twice. In 1991, he introduced audiences to the Contintenal Club in a segment of Slacker. Years later, in one of the teenage installments of Boyhood, he revisits the iconic location again when Mason Jr. (Ellar Coltrane) and his sister Samantha (Lorelei Linklater) check out some live music with their friends. 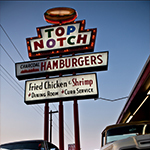 Made famous as the drive-in burger joint featured in Dazed and Confused, this is where Matthew McConaughey first coined the iconic phrase “Alright, Alright, Alright!” More recently, he said it again during his Oscar acceptance speech for Best Actor in 2014.